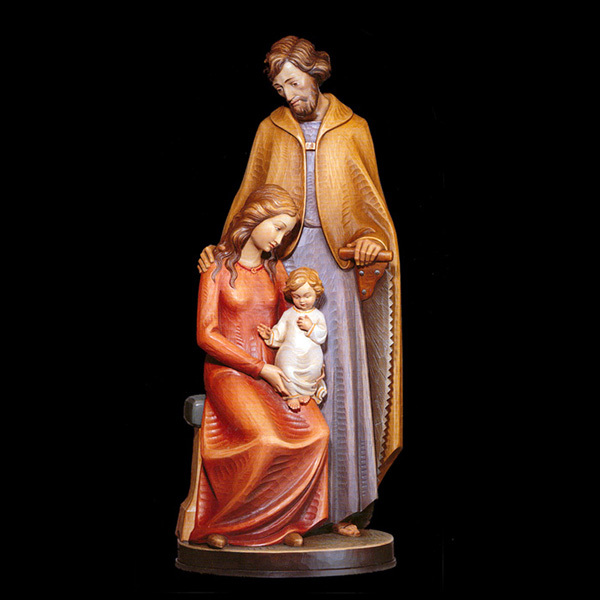 Size: Please Select 36" (+CDN$3,952.50) 48" (+CDN$9,532.50) 24"
This beautiful, full-coloured statue of the Holy Family is hand painted in traditional colours. Hand carved in Linden Wood, this piece shows Mary and Joseph gazing down at the baby Jesus sitting on Mary's lap. Joseph is holding a saw.